This is a great decoration that will bring the spirit of Halloween to any window. 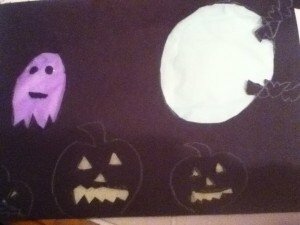 Follow the step by step directions below to create your own stained glass Halloween scene! 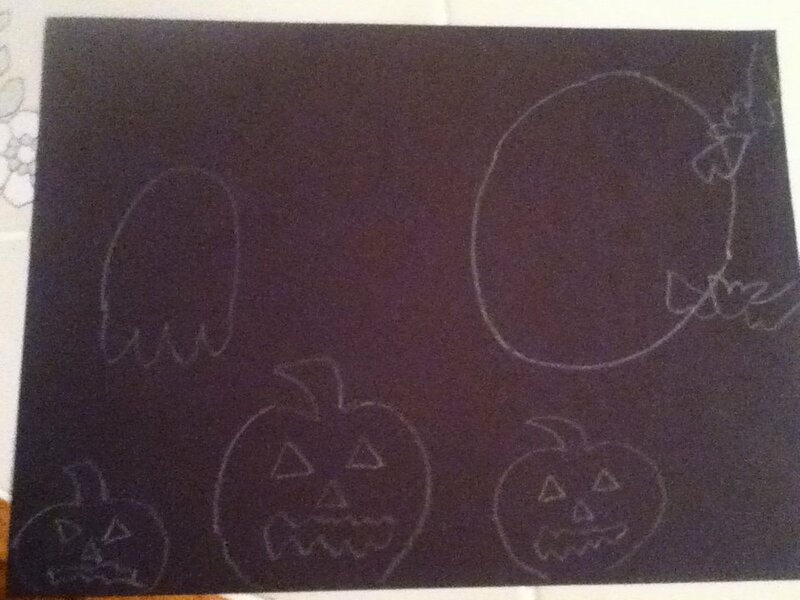 Step 1: Give each child a piece of black construction paper (black works best but you can use any color). 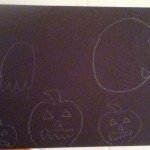 Step 3: Cut out pieces of your design. 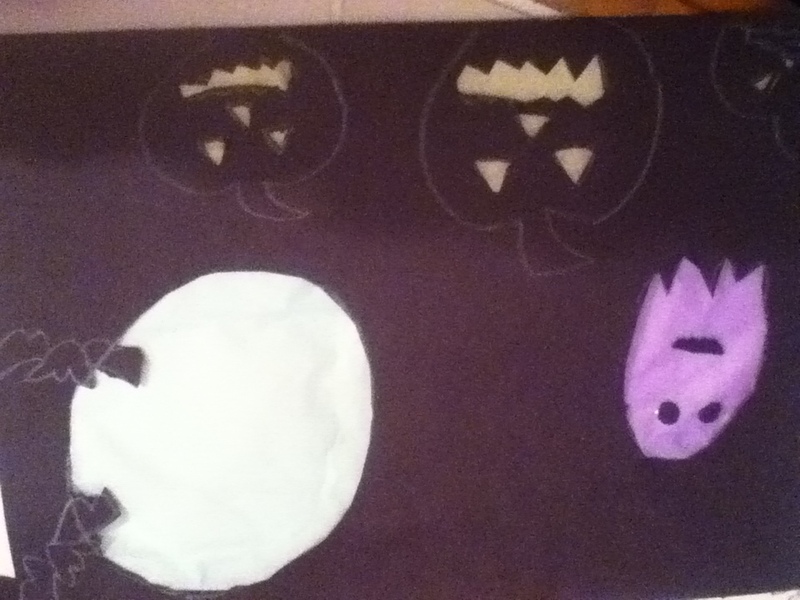 The example below shows the moon, ghost and pumpkin eyes cut out. 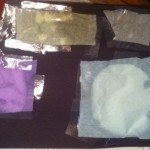 Step 4: Tape tissue paper to the back of the paper. 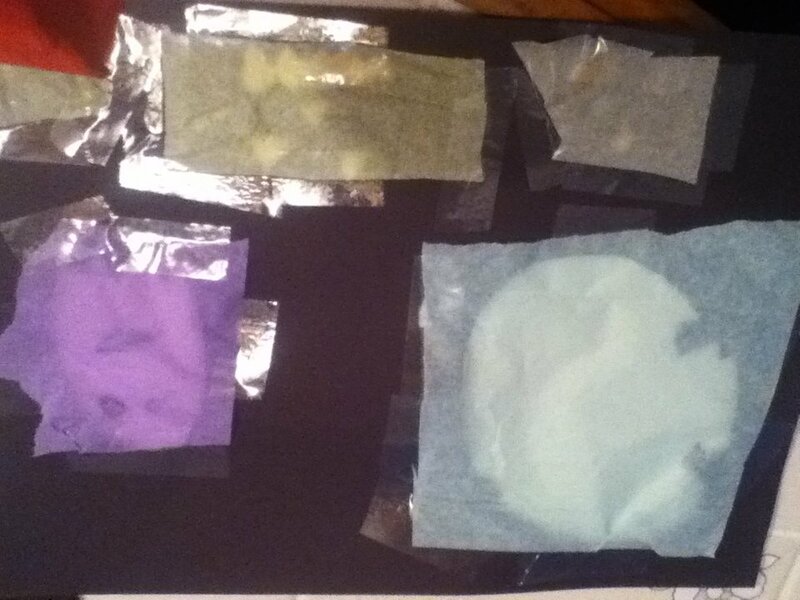 Step 5: Hang in the window to create a stained glass look to your Halloween scene.